What is the advantage of directly hiring a freelance translator like Peter van der Hoek instead of a translation agency? - The price: Translation agencies outsource their projects to freelancers but want to make some money for themselves as well. This makes your translation unnecessarily expensive. Furthermore does a translation agency charge you VAT where many freelancers, like me, do not have to charge you VAT. This way you save even more on your translation. - Speed: Translation agencies have to find a suitable translator first, and then wait for the translation before it can be proofread and corrected. If you directly hire a freelancer, everything directly gets to the person doing all the work so you will receive your translation without unnecessary delay. A translation agency also has to wait and see if the freelancer has the specific qualities for your translation, possibly putting your deadline at risk. - Warranty: Peter van der Hoek guarantees you will receive your translation within the promised deadline. In case of a delay you will be sent an invoice of €0.00 meaning the translation will be absolutely free! Of course, a reasonable deadline must be given for this. No translations agency – and most likely no other freelancer – will give you this guarantee! In addition, you may request any changes you wish to the translation (no additions!) for two weeks following the delivery of the translation, completely free of charge. So are there no disadvantages at all to directly contracting a freelancer? Yes, of course there are! If you hire a freelancer, you have to make sure he or she works within the scope of your translation. Never trust a translator who appears to be able to translate just about anything. They will definitely not deliver the quality you want and need. For the kind of translations I do, please check “Fields of expertise”. Is there anything else I should think about before contracting a translator? The most important thing for a high quality translation is the experience of the translator in the specific field of expertise. Also important is the knowledge the translator possesses of the target language. It is not mandatory that the target language is his/her mother tongue, but a thorough knowledge – for example by lots experience in the country of the target language – is very important. The translator must have an excellent knowledge of common linguistic usage of the target language. A thorough knowledge of the source language is also important. If the translator does not fully understand the original document, a high quality translation will be nearly impossible. A good communication between the client and the translator is definitely required. A translator asking the client questions is a good translator. This simply means he or she considers the client’s wishes. So is Peter van der Hoek the best solution for all your Dutch to English and English to Dutch translations? Absolutely not! Only if you need a translation that fits my fields of expertise, I am your man. If you need a different translator, I will gladly help find the correct him/her. Of course, I will not charge you anything for this! 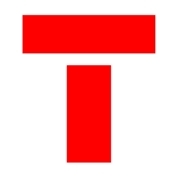 The Red T is a non-profit organisation that strives, through voluntary action, to establish translators and interpreters as a global, impartial, and protected community and to safeguard all members of the profession.